Have you ever wondered what dating websites and apps could do for your business? If you are shocked by this question, I bet you’ve never thought about what differentiates dating resources from other digital platforms. People use them for finding lifelong partners and casual hookups, and the atmosphere of dating apps and websites is playful and relaxed. What else can we say? Dating resources, especially mobile apps are popular among young people. The keyword “online dating” gets searched 450,000 times each month. In the US, 15% of the adult population are using dating apps. 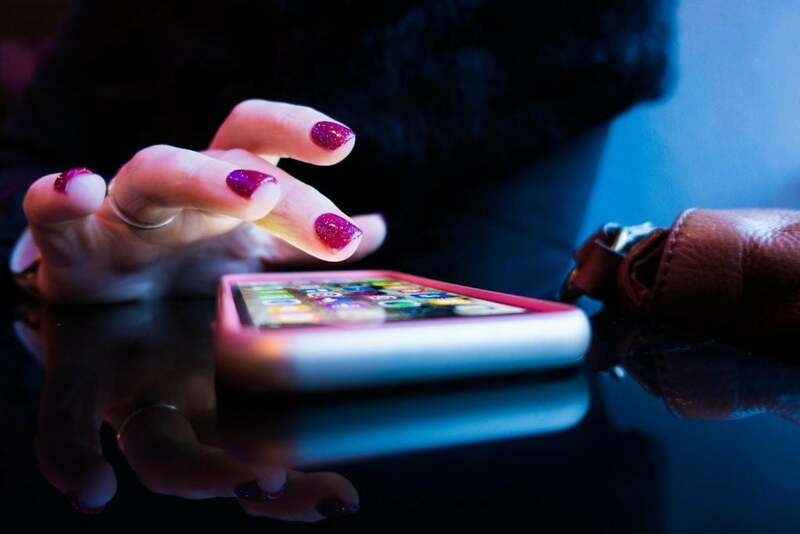 Most of the online daters are 18-25 years old, so digital marketers who target millennials and Z generation have long recognized the potential of such resources for their promotional campaigns. Let’s look at Tinder, one of the most popular dating apps in the world. It has 500 million members and over 27 million monthly visitors. Dating resources have highly differentiated audiences and allow for precise targeting. We can tell that of all the people actively involved in online dating, 83.6% of students will go to Tinder. 58.3% of women with feminist views who are interested in politics together with most entrepreneurs (61.5%) are more likely to be looking for dates on Bumble. And we also know that young people who love hip-hop and R&B spend more time on OKCupid when compared with other dating resources. Can you see the potential such differentiation has for your digital marketing? Dating apps and websites make users spend much time online. Stats show that an average millennial spends 10 hours a week on dating apps. 76% of all users testify that they spend 2 hours a day on such resources. Good enough engagement, isn’t it? Dating resources are always evolving, and the market is on the rise. Since the competition in the niche is enormous, dating platforms continuously reinvent themselves to keep users engaged and loyal. The market is expected to grow by 5% or more next year. So, what conclusions can we make? If your business targets people directly and involves meeting clients locally, dating sites and apps are an excellent venue for promotion. 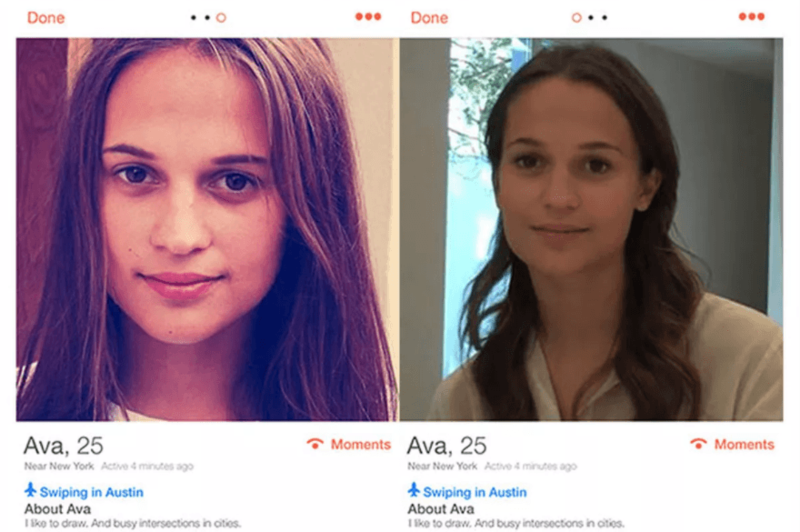 The notorious Ex-Machina campaign, where Tinder users matched with a beautiful woman called Ava. After a few minutes in a chat, Ava would confess that she was a robot promoting a new festival film and invite the daters to her Instagram account. This is a somewhat risky approach because many people were irritated by being fooled by the chatbot. However, the campaign managed to achieve high engagement rates among the highly targeted audience. 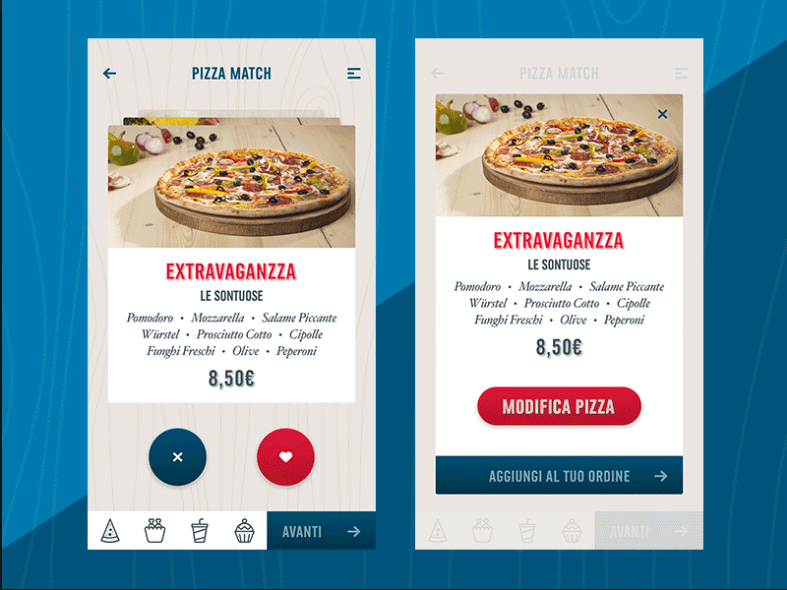 Domino’s offered a chance to get free pizza and discounts to the lucky ones who swiped right on their Tinder ads before the St. Valentine’s day. 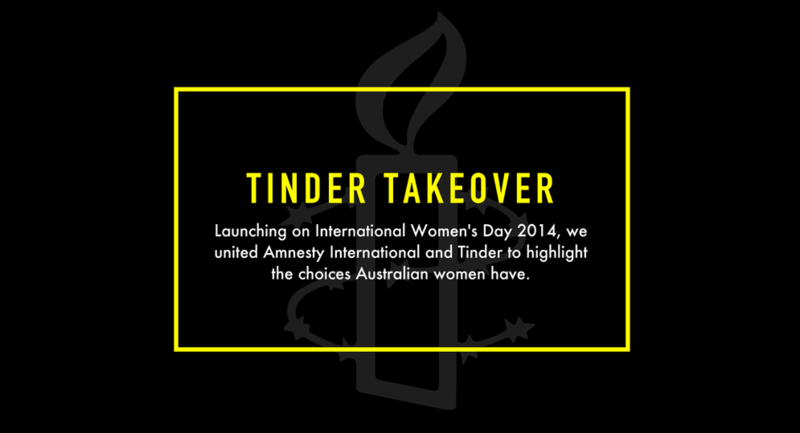 On a different occasion, International women’s day, Amnesty International Australia launched a campaign to raise awareness of forced marriages. The campaign focused on asking people to choose whether they wanted to marry for money or love and then emphasized that many women in Pakistan still did not have such a choice. The Mindy Project series also used the fake account approach in their Tinder campaign. Users who matched with the profiles of the characters Mindy and Danny were prompted to expect the next episode. Many entrepreneurs and professionals use their Tinder profiles to promote their services. If you run a small to medium B2C business, think about adding a few lines about it and a link to your website to your Tinder profile. Yes, some people actually read the text below the photos! It shouldn’t be all shop talk, be honest but playful. You will be surprised to see how many people are willing to buy when they see the person behind the business. Moreover, many dating apps (like Tinder) allow you to set the maximum radius where people will see your profile. If your business involves meeting in-person, you can use this tool no narrow in on local prospects. Tinder profiles are linked to Facebook and Instagram accounts. If you are a social media blogger, Tinder and other dating apps will help you find many new followers. Add a call to action to your profile, so that people would know that you want them to follow you. Most profiles on Tinder will show info from Facebook that includes interests, education, and job title. As you swipe through the app, you may see many entrepreneurs and professionals you would love to meet for a chat. You don’t have to miss such an opportunity only because Tinder is more about romance than work. If you are smart and sociable, you can make friends and business acquaintances anywhere. Many successful cases demonstrate that it is possible to track and hunt best job candidates for dating apps. The stigma of “hookup sites and apps” is long gone, people are using every opportunity for professional growth. Match Media Group that owns Tinder, Okcupid, and several other dating resources will work with an advertising budget of at least $25k (remember this figure when we talk about creating your own dating website). If you are not that ambitious in your marketing, you can still get promoted on Tinder through Facebook Audience Network. Programmatic advertising allows extending the reach of ads beyond Facebook news feed and Instagram. Your content will be displayed by many high-quality publishers and apps that partner with the Network (including Tinder). BeLinked will let you explore LinkedIn database instead of Facebook with the same “like or pass” attitude. With CityHour, you will find local networking partners who are ready to meet and talk about business in the next 2 hours. Shapr uses a unique algorithm to help you make professional connections. It also allows staying anonymous until you find a match. If you want to tap into the world of online romance and more control over your ads, think about placing your them, directly on dating websites. Then, choose the ones that are focused on the specific interests of your target audience. There are sites for music lovers, pet owners, looks-obsessed individualism, and total introverts. Make sure the site doesn’t look scammy or poorly designed. Find Advertising Information section on the website or request it through the Contact form. To decide, you will need to know the site traffic demographics and the price sheet. Make sure that the age, gender, and estimated income of the site traffic matches your marketing objectives. Next, create a killer ad, and you are ready to go! You will need to receive guidelines from a site representative about the types of add they approve and their placement. There’s one more way to capitalize on people’s desire to find a partner. Why not create a brand-new dating website? Maybe you should be selling ad space to marketers rather than paying for it? You can think of it as a wonderful way to mix business with fun. Start with signing in to popular dating resources. Take notes of your impressions as a user. You need to choose a dating niche that is most interesting for you as a user and potentially profitable. Who your target audience will be? Is something still missing on the online dating market, oversaturated as it is? Can you come up with brand new technology? Or should you capitalize on the time-proven solutions? If you decide to rely on traditional ways of matching, take Match.com as an example. This resource is huge. It has millions of profiles that can be browsed in search of a mate. To create something similar, you don’t need to design the website from scratch. Choose one of our premium templates, tweak it to perfection, and go live. The hardest part will be to draw visitors to your new resource, but we have good articles to help you grow hi-quality traffic to help you out. Did you like the article? Was it fun? Was it useful? Please share your thoughts in the comments; I would love to chat!